Vivanco 2016 White Blend- Fiesta In a Bottle! Vivanco Viura, Tempranillo Blanco, Maturana Blanca Blend 2016, Rioja DOC, Spain. 13% ABV, Approx $10/bottle (street). Color is clear, pale straw. The gentle nose offers both hints of floral and citrus notes. In the mouth, a rich blend of white peach and apple is primary and pairs with an excellent and muscular acidity on the front palate; secondary notes of starfruit, pineapple and lime follow. Tertiary notes of hay and the classic alluvial soil provides a blend of pyrite, gravel, clay, and silt. The clean finish is quite lengthy and satisfying, leaving a tart, citrus aftertaste that begs for the next bite or sip. This white wine blend (of viura, tempranillo blanco, and maturana blanca grapes, to be specific) pairs well with food or stands by itself and is an easy go-to wine choice for warm weather. For food pairing, over five evenings this white blend paired well with both an Italian marinated grilled chicken and classic French style baked chicken on two separate dinners, as well as sushi, Chinese, and mild to medium cheeses. It surprisingly handled both delicate flavor profiles and heat well, from pepper flake to hot sauce to raw jalapeño. The Vivanco was such a good foil for sushi and sashimi that I can say without a doubt it would also be ideal for crudo, grilled fish, raw bars, or ceviche. My in-laws were quick to ask for a second glass and like me, adored every drop. If you haven’t tried a white rioja before, here’s your chance to do so for a song. If you have experience with white rioja, then you already know what a massive value this wine has in store for you. It goes down so easily and quickly that it might be wise to double up your purchases when you give this a taste. In trying to sum up my thoughts on this wine, I kept thinking about Spain’s many fiestas; how every warm day is a party in Spain like nowhere else in the world, and the wine flows like the sea! So click on the link below for a fun Catalonian tune about the sea by Manel, pop open a bottle of wine, relax and enjoy! Great weather this year in parts of the Northwest US and France leads to positive speculation for some of my favorite regions. 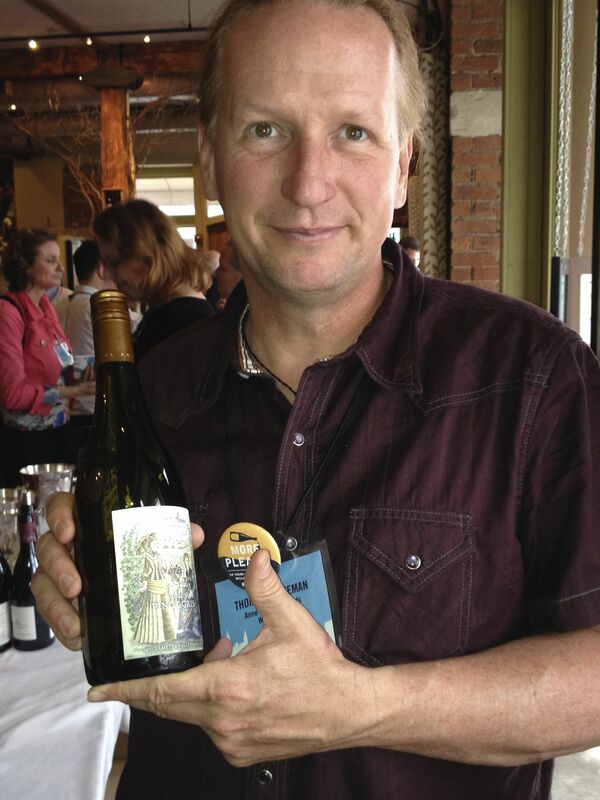 In Oregon, one of the earliest grape harvests occurred this year and had local winemakers ecstatic to have not only another banner year, but also improvement over the 2014 season. 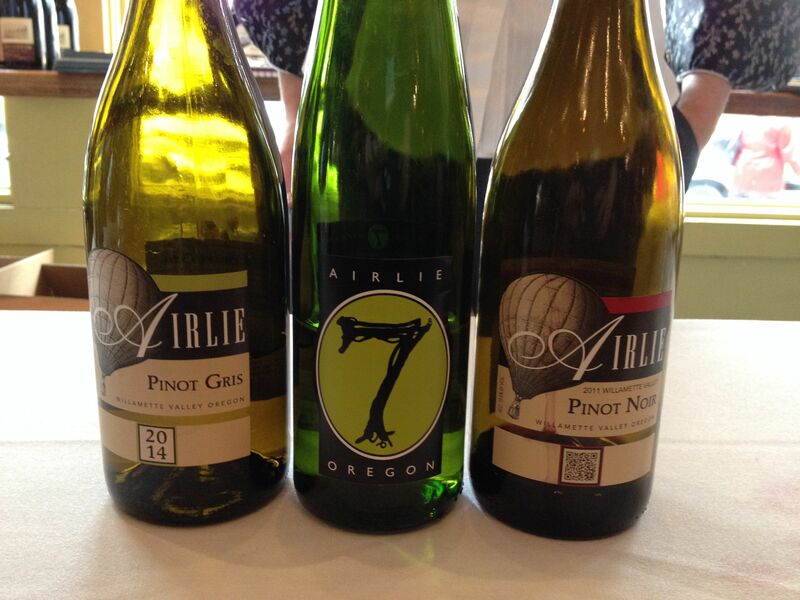 For that reason, I’m tremendously excited to taste the white 2015 wines from Elizabeth Clark of Airlie Winery, and Tom Houseman of Anne Amie Vineyards. 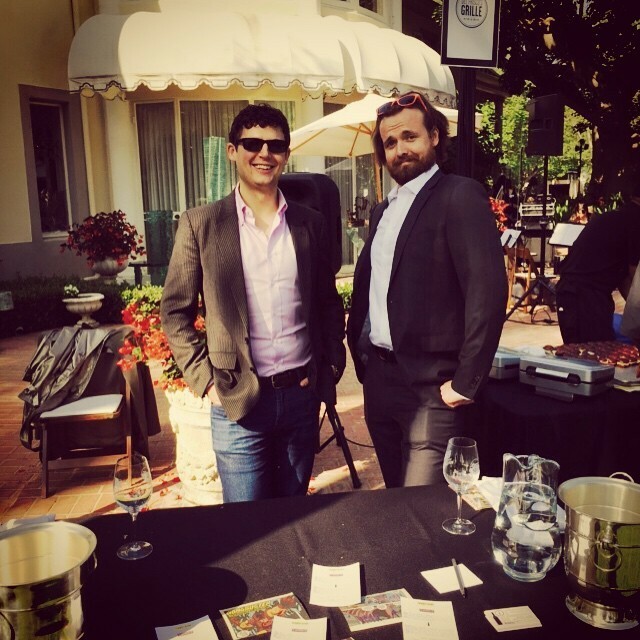 Both of these winemakers create a personal white blend (Airlie 7 and Cuvée A Amrita) that is stunning in quality and value. Across the pond, Burgundy has had a lovely growing season, raising expectations from locale winemakers and negociants as well! 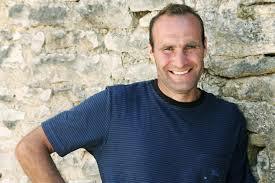 One of my all time favorite small producers, Pierre-Yves Colin-Morey, should have a beautiful “Le Trezin” from Puligny-Montrachet. A wine of consistent depth, subtlety and divine beauty, it’s one of the wines I consistently seek out with great satisfaction. 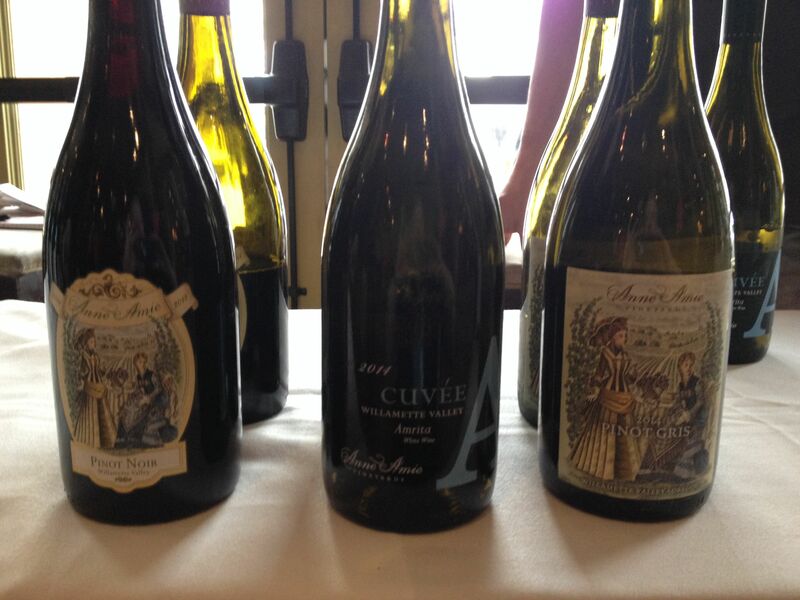 What wines are you excited about from the 2015 vintage? 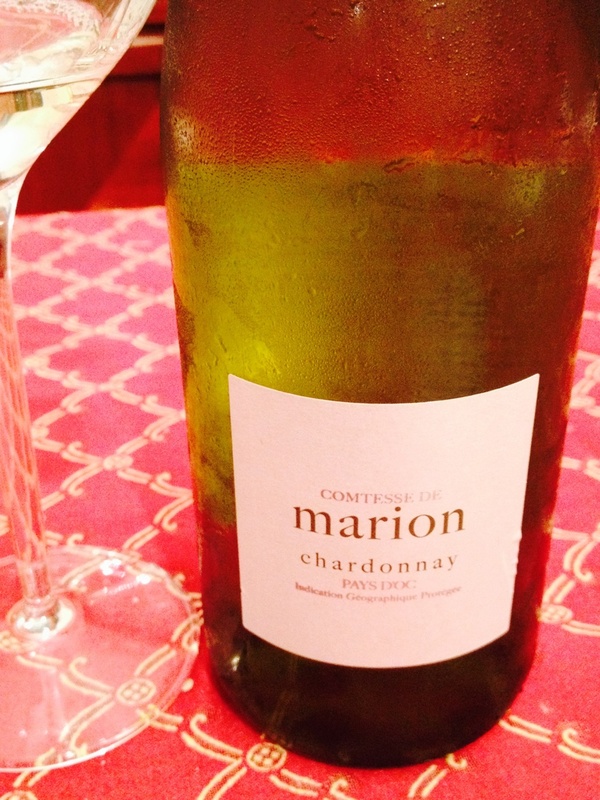 Le Domaines Robert Vic: Comtesse de Marion Chardonnay 2014, Pays D’oc, Vias, France. ABV 13%, available online from $8-14/bottle, sourced at $17/bottle from Xavier Wine & Spirits, NYC. Translucent, pale straw in color with a delicate nose of wildflowers and a hint of orchard fruit. Classically balanced chardonnay, mild up front with a rich and savory mid-palate, plenty of acid and a refreshing finish. Shows the kind of depth normally expected from a higher price tag, this is a no-brainer for those who adore quality $40-60 bottles of white and a killer find for those who work the under $20 range. Flexible to pair on the light and medium sides with fish, shellfish, salads, vegetables, light cheeses, white meats and of course, by itself for a glass of pure mediterranean sunshine. 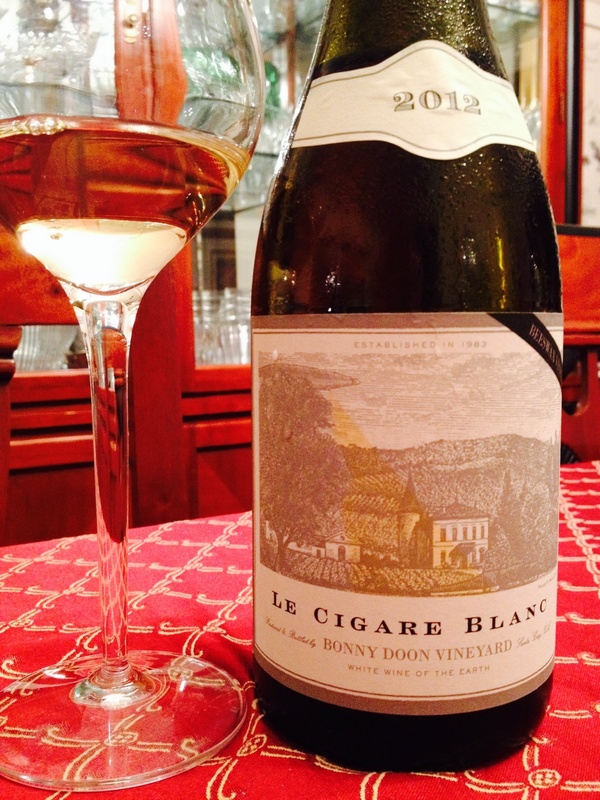 Bonny Doon Vinyards Le Cigare Blanc 2012, Beeswax Vineyard, Santa Cruz, CA. 13%ABV, $10/bottle from Wine Exchange. Color of medium straw green tinge. White peach and honeysuckle on the nose. On the palate, a mature blend of white fruit akin to delightful Bordeaux Blanc- white pear, golden delicious apple, asian pear, medium finish with notes of orange rind, slate and limestone. This is a blend of 48% grenache blanc, 44% roussane, and 8% picpoul blanc (a Rhône blending varietal known for acidity and minerality) purported to use a very hands-off approach to winemaking, and as a result feels very old world in balance, acidity, and comfort. With other vintages selling at three times the price, this is a go-to value bottle that drinks easily as well as a $20 bordeaux blanc and $25 california white blend. Don’t let the alien face on the yellow screwtop scare you away, this is a serious wine that can offer delightful pairing and huge value on the price point. As we wind down this winter that refuses to end, I realize I’m suffering from my own version of cabin fever. I keep desiring lighter, fruitier, more delicate flavors from my wines and food. I’ve no desire for savory, and hunger for salads, fish, and fruit – and the lighter wines that pair with them. Reviewing recent cellar additions, I also notice the wines I’m purchasing for my own personal enjoyment (in opposition to the ones that are sent to me or chosen for review) are matching the anxiousness of my palate being ready for the forthcoming seasons of spring and summer! Spring is definitely in my wallet this year. Long before there was a warming change in the winter air, I started buying whites and rosés, riesling, grüner veltliner, chardonnay, sauvignon blanc and yes, my beloved white burgundy. At restaurants I’ve made similar choices – eating and drinking for the season before it arrived – and having zero regrets about it. 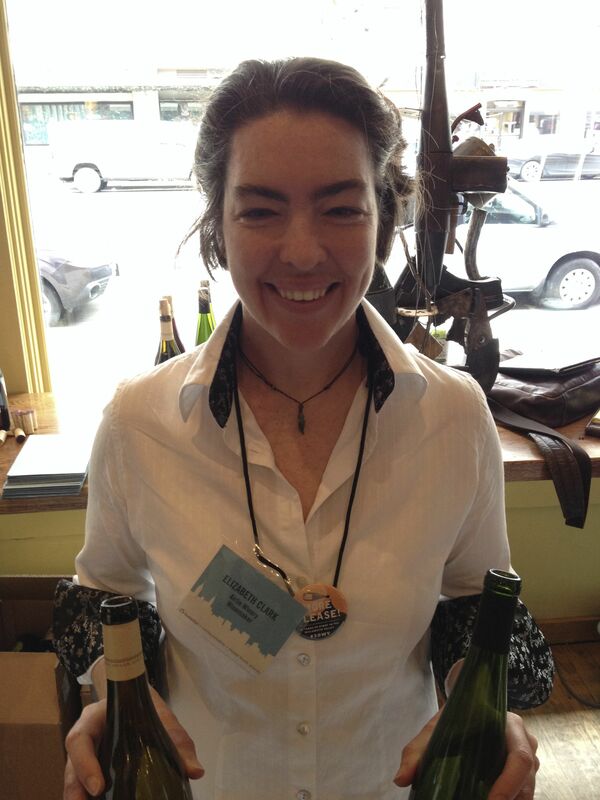 I met a Somm named Ida (pronounced: “Ee-da”) and her manner immediately put me at ease. I asked her which wines on her list were off the beaten track, unusual, or ‘hidden gems’. She introduced me to Jacques Puffeneny’s Cuvée Sacha “Arbois”, a 2012 wine from the Jura region that was made with intentional oxidation and featured a real sense of sherry and age to it! I so enjoyed my meal that I didn’t think to take tasting notes, but it was a satisfying pairing with a serving of raw fish and, in short, I experienced the Puffery “Arbois” as a gentle, dry wine with a dull, off-pink color, a perfumed and sherry nose, and subtle fruit with matching acidity that delighted me to no end. 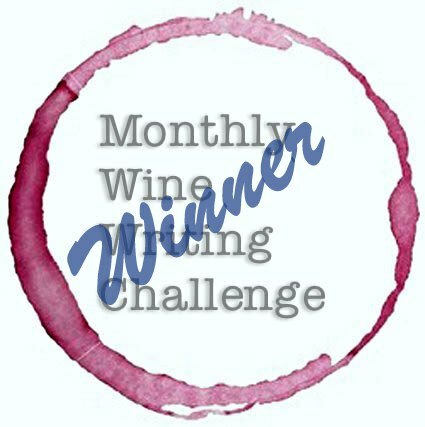 I wanted to share this unusual wine and my experience with you- asking you to continue to challenge your palate, your preferences, and to take risks with trying new, maybe unusual wines. For everything you find you might not like, you might find something you love! And dear readers, tell me if spring is in YOUR wallet, too? I’m fascinated.